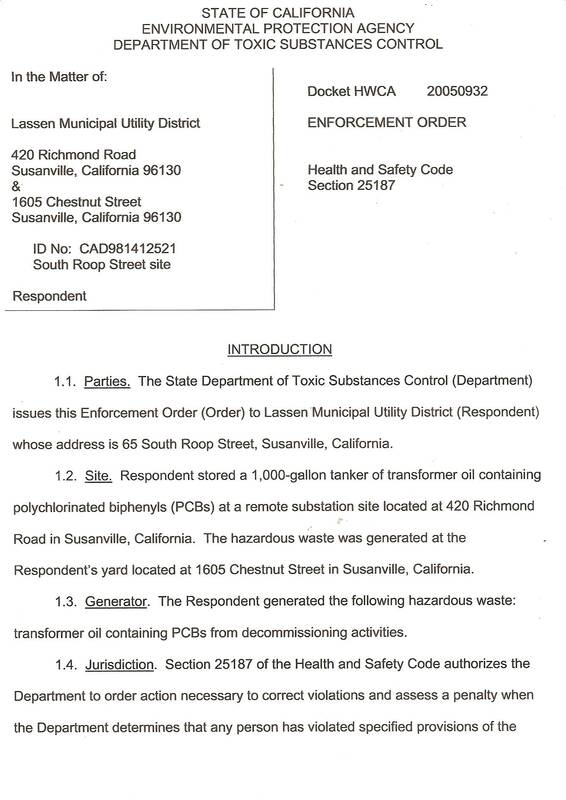 In 2004, LMUD illegally stored and transported toxic waste at their Richmond substation (420 Richmond Road, Susanville) and then forged Federal documents to move the toxic waste. The EPA fined LMUD $9,000. 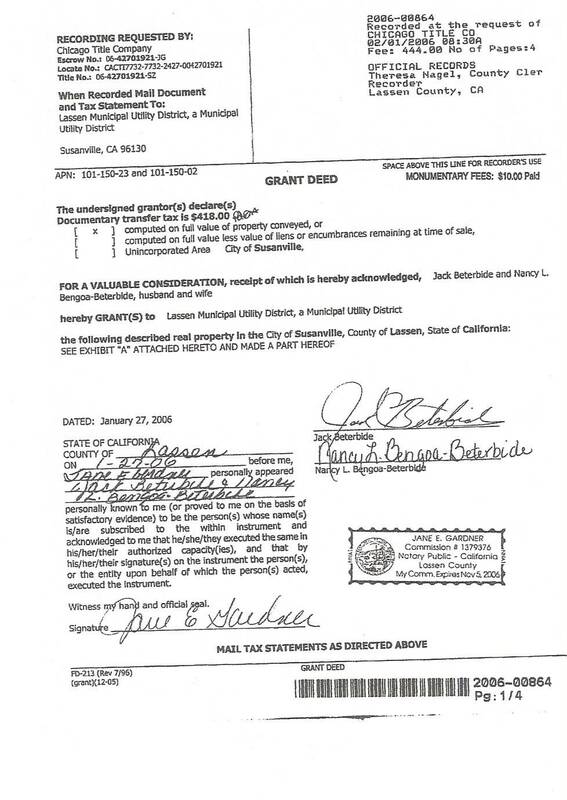 LMUD Director Fred Nagel & Frank Cady negotiated to buy property from their friend Jack Beterbide that Beterbide didn't even own. 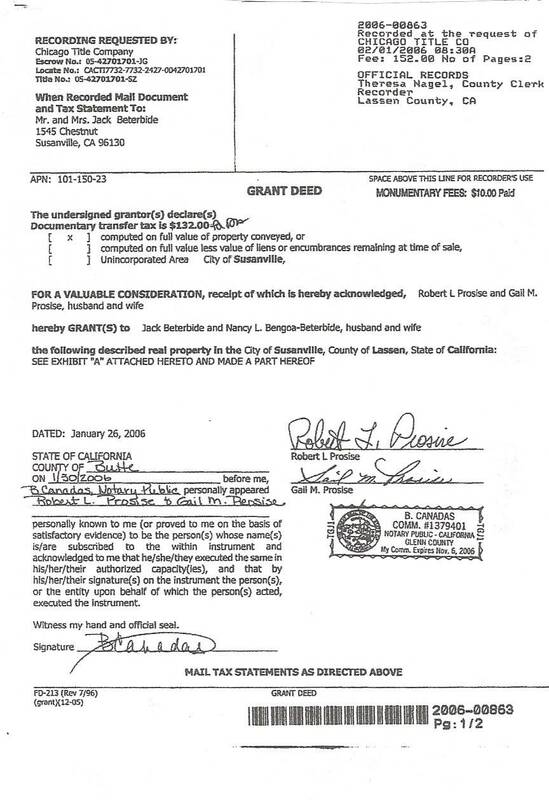 On January 26, 2006, Jack Beterbide purchased the Chestnut property from Robert and Gail Prosise for $120,000 and then he sold it to LMUD for $381,232 the same day. The ground on the Prosise property and Beterbide's property was heavily contaminated with years of fuel and other contaminates . LMUD relieved Beterbide and Prosise of a 20 year environmental disaster. The property was worthless and Nagel and Cady knew this. 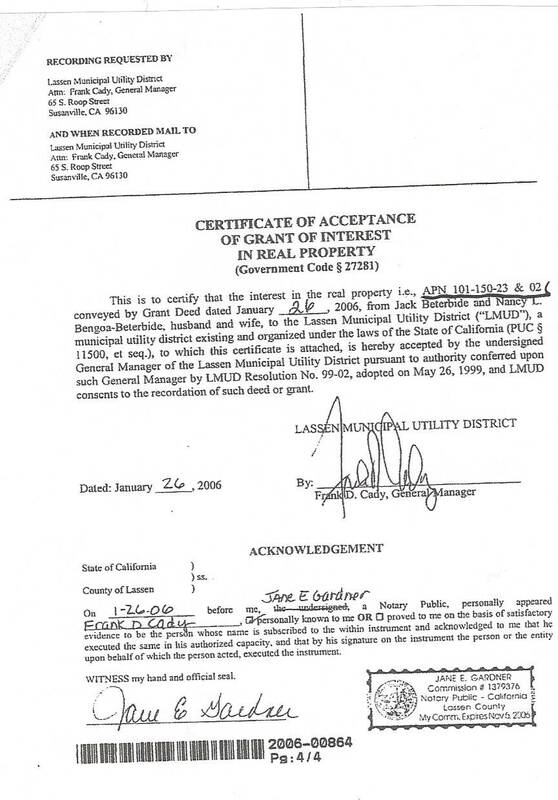 In 2007, Fred Nagel and Frank Cady set in motion a scam that would cost LMUD ratepayers hundreds of thousands of dollars in legal fees to get out of. Nagel and Cady signed a $65,000 check for worthless transmission lines that had been taken down at Kinross Gold's Hayden Hill Mine. Fred Nagel, Bill Stewart and Frank Cady concocted a swindle on the Willow Creek landowners. They promised these ranchers LMUD power if they deposited $30,000. LMUD had no intention of providing power because this was Surprise Valley Electrics district. 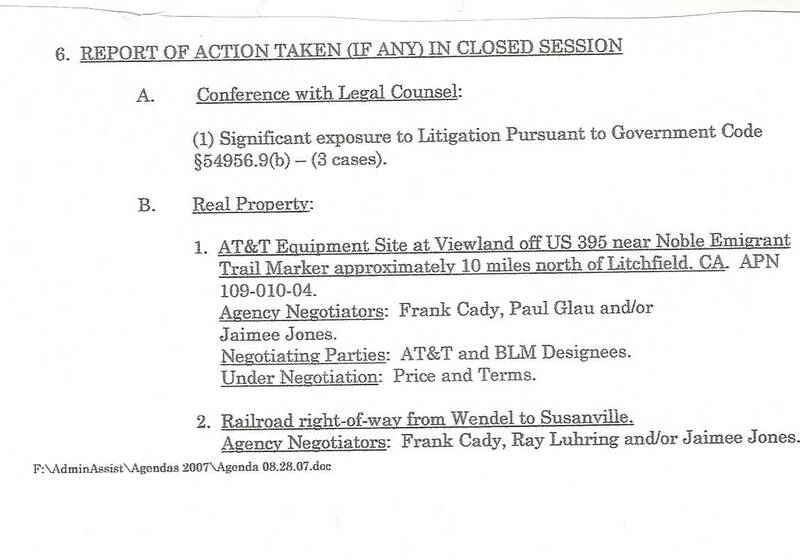 Fred Nagel and Bill Stewart lied to the public about purchasing the ATT property/equipment for a "Viewland Substation". The only act that was legitimate was a lease with BLM for the surrounding land (40 acres). The problem: it was contaminated and could not be developed until LMUD cleaned it up. BLM was adamant about the cleanup before issuing any permits. 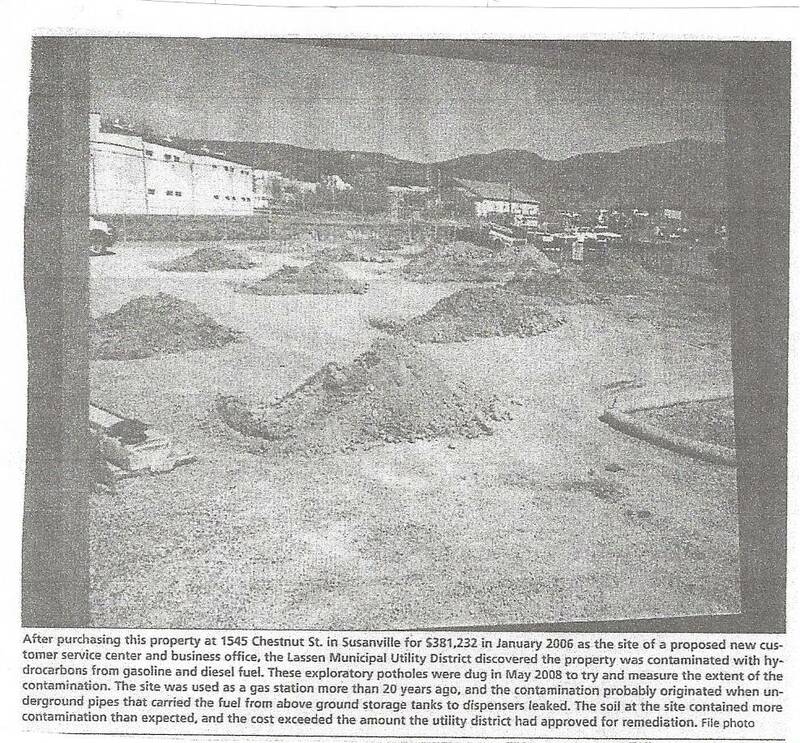 LMUD could not afford to clean up the land without admitting they knew it was contaminated before they leased the BLM land. LMUD has floated the lies about interest in a 230kv substation for over a decade. Developers have come and gone with big promises about paying for this 230kv substation, but because there has never been a market the "idea or concept" was just that and never went further than a "idea or concept". Once BLM would not let LMUD move forward with their "Viewland Substation", LMUD purchased 241 acres of land in Wendel for a substation that has no value to LMUD ratepayers. LMUD has been overcharging customers for many years to accumulate "cash" for the Viewland substation. Now they have over $10,000,000 in the bank and voted to take on debt to build this 230kv substation in Wendel. 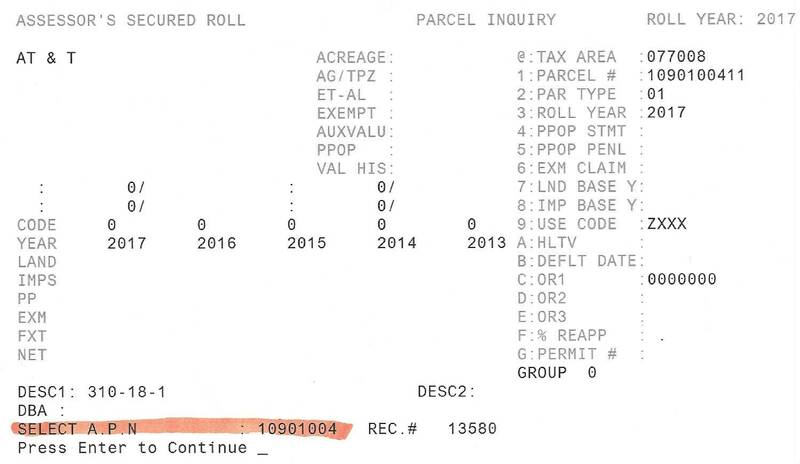 LMUD paid $250,000 for this land and has not provided one, NOT ONE, developer that will pay for this.